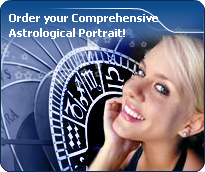 You will find on these pages astrological charts of thousands of celebrities with Proserpina in Pisces. Galileo Galilei (15 February 1564 – 8 January 1642) was an Italian physicist, mathematician, astronomer, and philosopher who is closely associated with the scientific revolution. His achievements include the first systematic studies of uniformly accelerated motion, improvements to the telescope, a variety of astronomical observations, and support for Copernicanism. Ivan IV Vasilyevich (Russian: Иван IV Васильевич) (August 25, 1530, Moscow – March 18, 1584, Moscow) was the Grand Duke of Muscovy from 1533 to 1547 and was the first ruler of Russia to assume the title of tsar (or czar). Michel Eyquem de Montaigne-Delecroix (IPA pronunciation: ) (February 28, 1533–September 13, 1592) was one of the most influential writers of the French Renaissance. Montaigne is known for popularizing the essay as a literary genre. He became famous for his effortless ability to merge serious intellectual speculation with casual anecdotes and autobiography — and his massive volume Essais (translated literally as "Attempts") contains, to this day, some of the most widely influential essays ever written. Henry IV of France, also Henry III of Navarre (14 December 1553 (birth time source: Astrodatabank, Martin Harvey in Nativitas I quotes Latin records, "recorded as 1:00 to 2:00 AM." (December 14, 1553 OS) – 14 May 1610), ruled as King of France from 1589 to 1610 and King of Navarre from 1572 to 1610. Francis Bacon, 1st Viscount St Alban (22 January 1561 – 9 April 1626) was an English philosopher, statesman, and essayist, but is best known as a philosophical advocate and defender of the scientific revolution. Indeed, his dedication brought him into a rare historical group of scientists who were killed by their own experiments. Saint Teresa of Ávila (known in religion as Teresa de Jesús, baptized as Teresa de Cepeda y Ahumada) (March 28, 1515 (Julian calendar) - October 4, 1582) was a major figure of the Catholic Reformation as a prominent Spanish mystic and writer and as a monastic reformer. Tycho Brahe, born Tyge Ottesen Brahe (December 14, 1546 – October 24, 1601), was a Danish nobleman from the region of Scania (in modern-day Sweden), best known today as an early astronomer, though in his lifetime he was also well known as an astrologer and alchemist. Pierre de Ronsard, commonly referred to as Ronsard (September 11, 1524 – December, 1585), was a French poet and "prince of poets" (as his own generation in France called him). He was born at the Manoir de la Possonnière, in the village of Couture-sur-Loir, Loir-et-Cher. John Calvin (July 10, 1509 – May 27, 1564) was a French Protestant theologian during the Protestant Reformation and was a central developer of the system of Christian theology called Calvinism or Reformed theology. In Geneva, he rejected Papal authority, established a new scheme of civic and ecclesiastical governance, and created a central hub from which Reformed theology was propagated. Henry II, King of France (French: Henri II) (March 31, 1519 – July 10, 1559), a member of the House of Valois, and the son and successor of Francis I, ruling from March 31, 1547, until his death. Early years Henry was born in the Royal Château at Saint-Germain-en-Laye, France, the son of Francis I and Claude de France and the grandson of Louis XII of France and Anne de Bretagne. Sir Walter Raleigh (1554 or 1552 – 29 October 1618), was a famed English writer, poet, courtier and explorer. He was responsible for establishing the first English colony in the New World, on June 4, 1584, at Roanoke Island in present-day North Carolina. Prince William I of Orange, Count of Nassau (April 24, 1533 — July 10, 1584), also widely known as William the Silent (Dutch: Willem de Zwijger), was born in the House of Nassau. He became Prince of Orange in 1544 and is thereby the founder of the House of Orange-Nassau. Philip II (Spanish: Felipe II de Habsburgo; Portuguese: Filipe I) (May 21, 1527 – September 13, 1598) was the first official King of Spain from 1556 until 1598, King of Naples and Sicily from 1554 until 1598, king consort of England (as husband of Mary I) from 1554 to 1558, Lord of the Seventeen Provinces (holding various titles for the individual territories, such as Duke or Count) from 1556 until 1581, King of Portugal and the Algarves (as Philip I) from 1580 until 1598 and King of Chile from 1554 until 1556. Marguerite de Valois (May 14, 1553 – May 27, 1615), "Queen Margot" (La reine Margot) was Queen of France and Navarre. Early life Born Marguerite de Valois at the Royal Château de Saint-Germain-en-Laye and nicknamed Margot by her brothers, she was the daughter of Henry II and Catherine de' Medici. Lady Jane Grey, formally Jane of England (1537 — 12 February 1554), a grand-niece of Henry VIII of England, reigned as uncrowned Queen regnant of the Kingdom of England for nine days in July 1553. Though Jane's accession, pursuant to the Will of King Edward VI, may have breached the laws of England, many powers of the land proved willing to accept her as Queen of England, even if only as part of a power-struggle to stop Henry's elder daughter, Princess Mary, a Roman Catholic, from ascending to the throne. Luís Vaz de Camões (pron. IPA /lu'iʃ vaʃ dɨ ka'mõĩʃ/; sometimes rendered in English from old Portuguese as Camoens) (c. 1524 – June 10, 1580) Portugal's greatest poet. His mastery of verse has been compared to that of Homer, Virgil, and Dante. Christopher "Kit" Marlowe (baptised 26 February 1564 – 30 May 1593) was an English dramatist, poet, and translator of the Elizabethan era. The foremost Elizabethan tragedian before William Shakespeare, he is known for his magnificent blank verse, his overreaching protagonists, and his own untimely death. The source for this event comes from Marc Penfield, at http://www.astrologysoftware.com/resources/lore/astro_search_result.asp.by=name (search for Bogota). Bogotá (/ˈboʊɡəˌtɑː/¸, /ˌbɒɡəˈtɑː/, /ˌboʊɡəˈtɑː/; Spanish pronunciation: ( listen)), officially Bogotá, Distrito Capital, abbreviated Bogotá, D.C. (during the time of Spanish rule, and also from 1991 to 2000, called Santafé de Bogotá) is the capital and largest city of Colombia administered as the Capital District, although often thought of as part of Cundinamarca.